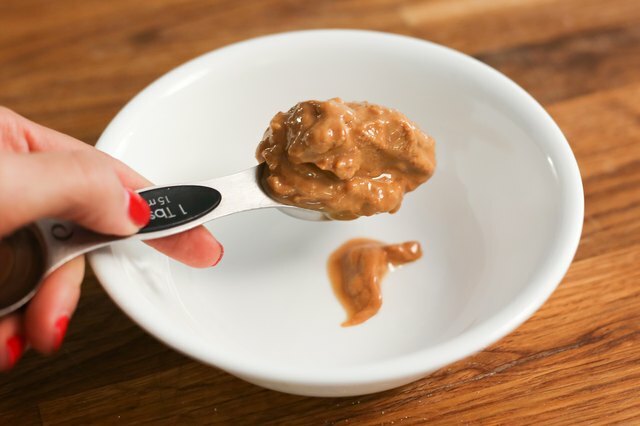 Famously thick enough to stick to the roof of your mouth, peanut butter is a stubborn ingredient when it comes to blending it with other foods. 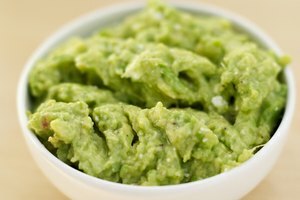 Yet the fatty food is worth incorporating into dishes -- it adds creaminess to desserts and nutty depth to Asian-style salad dressings and dipping sauces, among other foods. 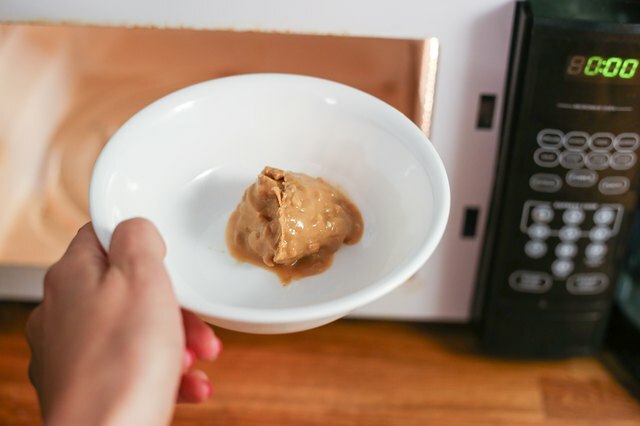 The solution to peanut butter's consistency problem is to apply some gentle heat with a microwave or a low burner, or to add a hot liquid to it. 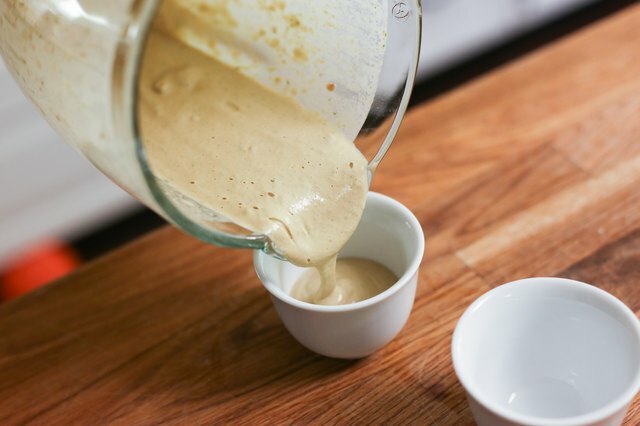 For a no-heat approach to liquefaction, use a blender and a fluid ingredient to thin it out. Scoop the amount of peanut butter that you need into a microwave-safe bowl. Put the bowl into the microwave and set the microwave to High. Program the timer for 30 seconds. Check the bowl after 30 seconds. If the peanut butter has not melted enough, return it to the microwave and cook on High, checking at 30-second intervals. 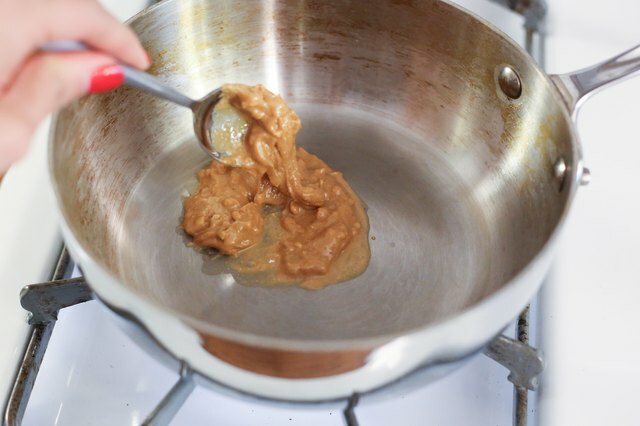 Scoop the amount of peanut butter you need into a small saucepan set over low heat. 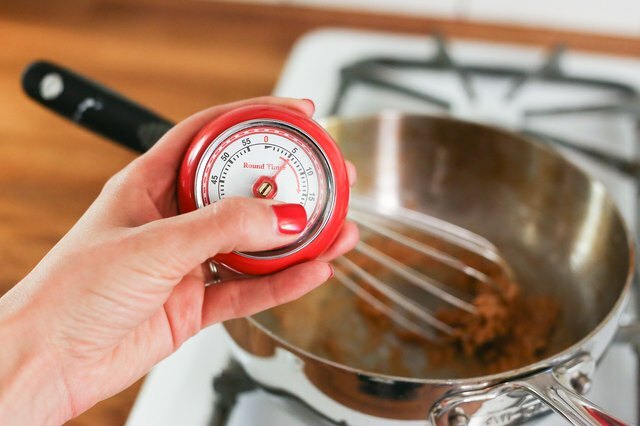 Melt the peanut butter by itself, or with other ingredients in the order specified in your recipe. 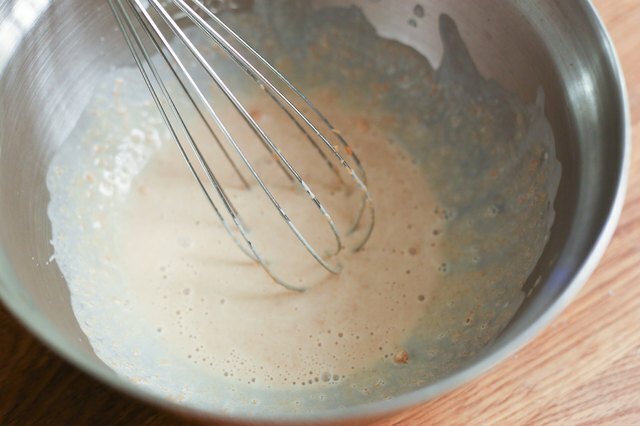 Allow the peanut butter to liquefy, and whisk it if the oils separate from the solids. Remove the peanut butter once it reaches the consistency you want. Depending on the amount of peanut butter and other ingredients, this could take 5 or more minutes. Put the amount of peanut butter you need in the blender or food processor. 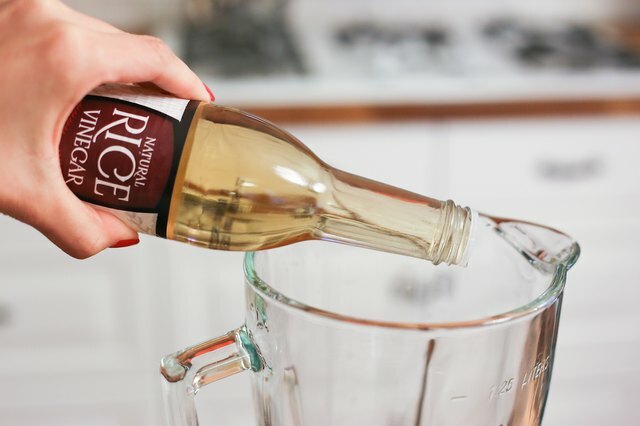 Add a liquid and flavoring agents. 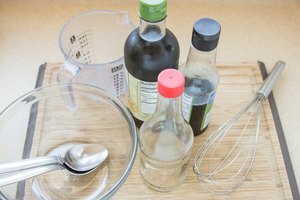 For an Asian-style dressing, use an equal amount of rice vinegar, as well as small amounts of soy sauce, garlic and cilantro. Process the peanut butter mixture until it becomes a well-combined liquid. 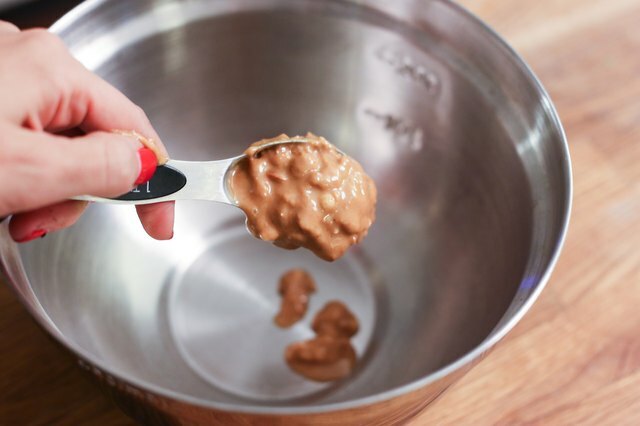 Scoop the amount of peanut butter you need into a sturdy mixing bowl. 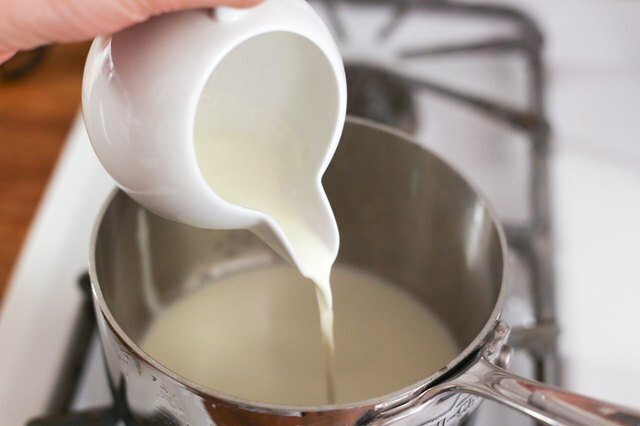 Heat the amount of cooking liquid, such as milk or cream, that's specified in your recipe. Use a saucepan over low or medium heat to warm the liquid. 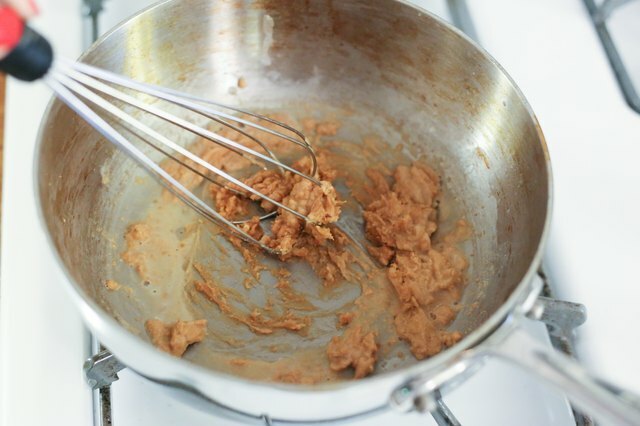 Pour the hot liquid into the peanut butter, and whisk until the peanut butter begins to liquefy and combine with the hot liquid. Proceed the mixture with the remainder of the recipe ingredients. Uses for melted peanut butter include peanut butter popcorn, a hot dipping sauce for skewered meat. 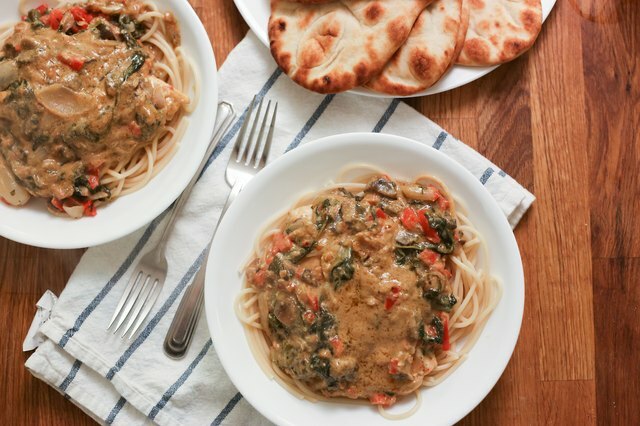 In a sauce, it coats noodles, African-style vegetables or an Asian stir-fry. 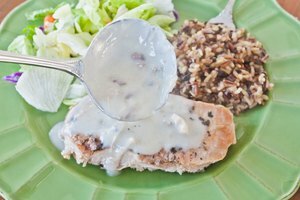 It can also coat a chicken breast or pork chop before being popped into the oven. Like other fats, peanut butter can sputter under heat, especially if the oils separate from solids. Take care when stirring it in a saucepan or spreading a just-microwaved scoop of peanut butter.